DK Eyewitness Flight is a spectacular and informative guide to the fascinating world of aircraft. Superb colour photographs offer a unique "eyewitness" exploration of the history of flight, as well as provide a close-up view of the many different kinds of aircraft in use today, from helicopters to hot-air balloons. Show your child a Victorian steam-powered aeroplane, what the first pilots wore, how wings provide lift, and what's inside a "black box". 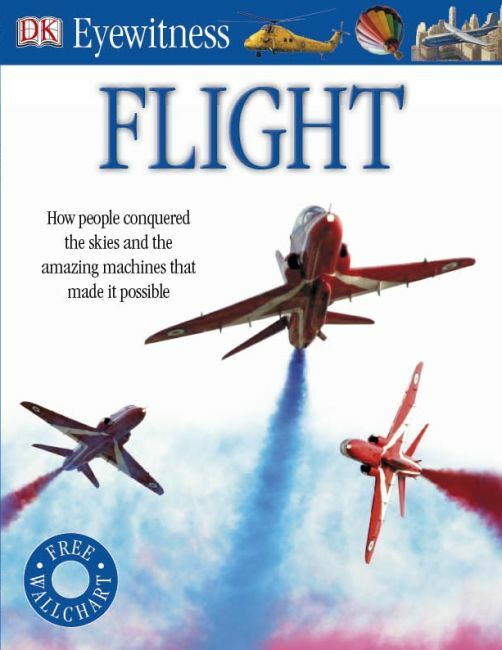 Discover how a plane lands and takes off, how a glider works, which plane could be carried on a car, how a helicopter flies, and much more. DK Eyewitness Flight also includes a giant fold-out wall chart full of facts, perfect for bedrooms or classrooms.